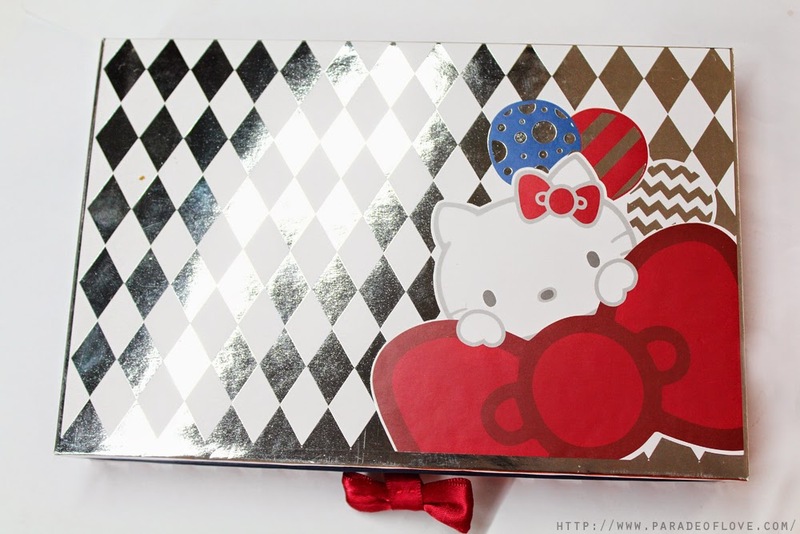 It’s my exams period now and I was contemplating if I should do up the review of this Sephora Hello Kitty 40th Anniversary Pop-Up Party Eyeshadow Palette. I decided to take a break from all that studying and review this palette because there were too many requests for the quality and pigmentation! Also, I did a quick Google search and realised not many did reviews for this palette (surprisingly), hence here are my thoughts to better facilitate your purchase decisions! 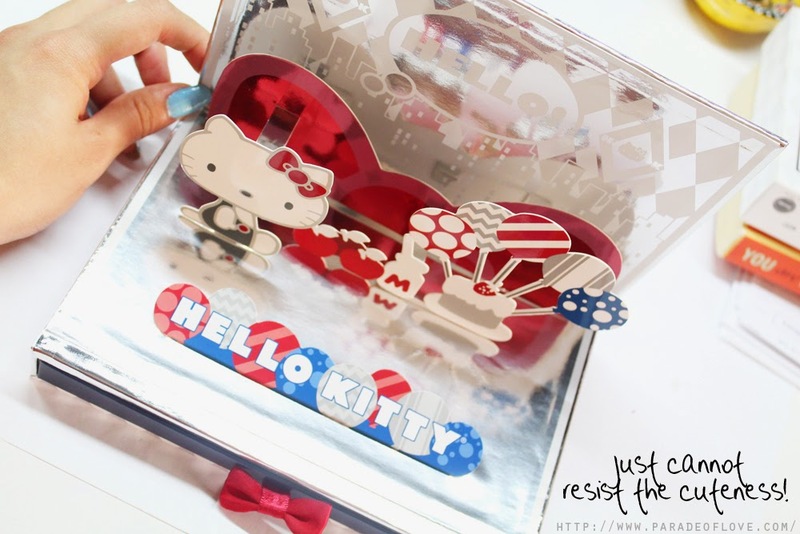 I would say that I am definitely not an avid fan of Hello Kitty but I do have the entire Hello Kitty Wedding x MacDonald’s collection, the one that got the entire country (or countries) crazily flocking to the fast food chain to queue, courtesy of my mummy! 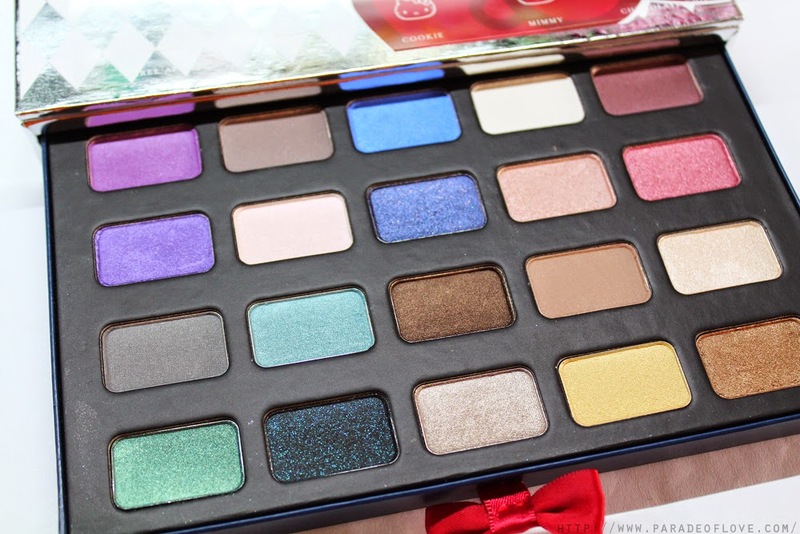 With all the beautiful holiday launches, I decided to go ahead and get this palette (amongst the many I got) just because I couldn’t resist the packaging and the range of colours inside. Here’s how the packaging looks like. 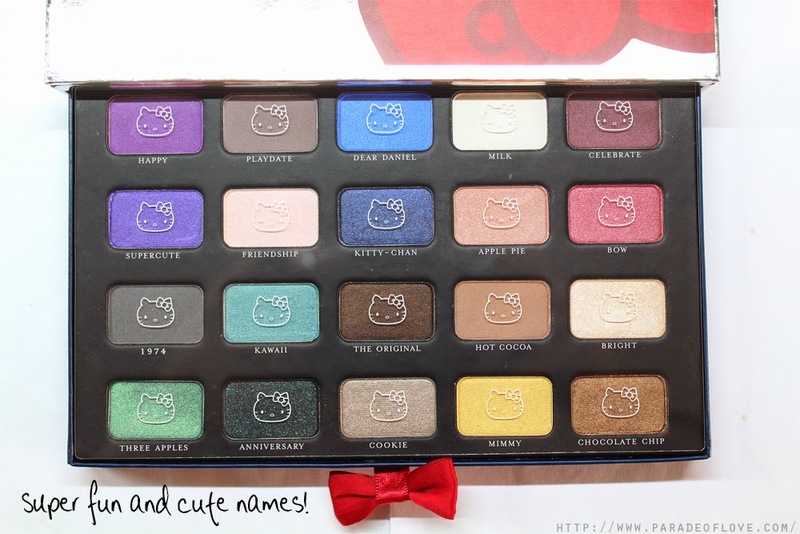 At the back of the box, there are the names of the eyeshadow colours and the shades are depicted as little Hello Kitty bows, how adorable! 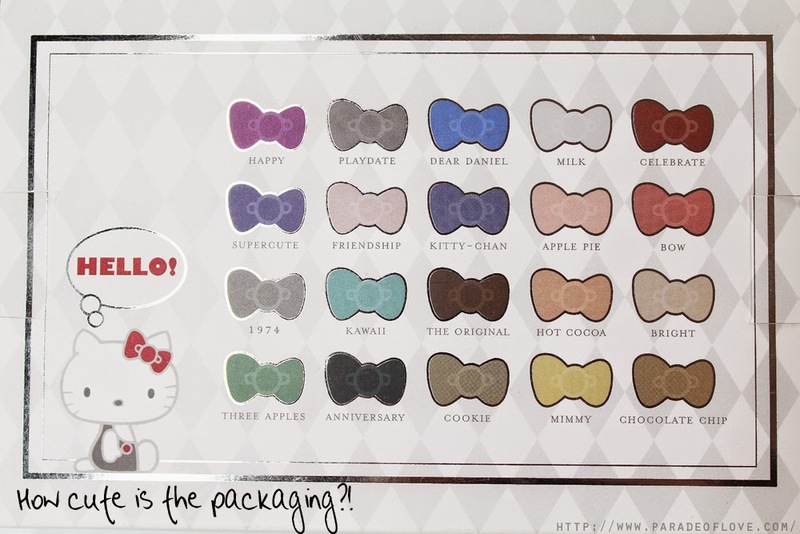 Majority of the shade names are very reflective of the anniversary theme, This is one packaging that you will not be able to resist, especially if you are a Hello Kitty fan! and I like the fact that it feels sturdy. 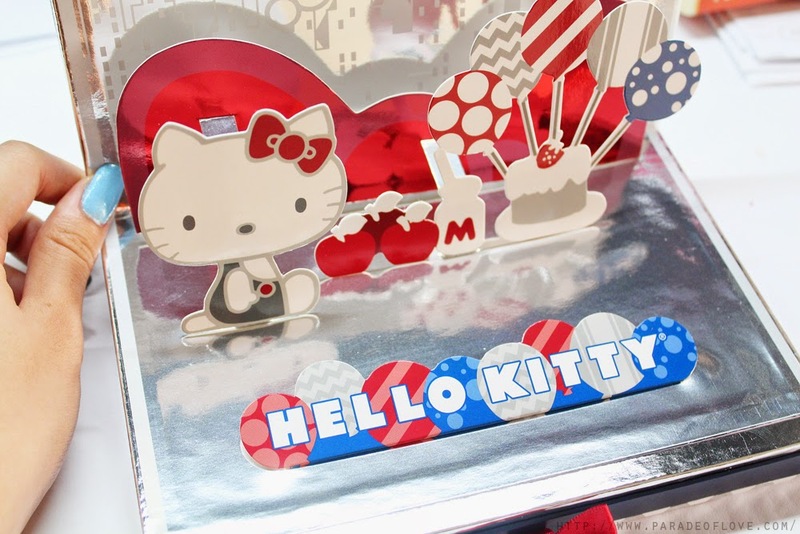 It doesn’t have a mirror as with most palettes do, but instead, just like what the name of the palette suggests, there’s a pop-up decal of Hello Kitty and some celebration elements, which makes the palette really cute and funky! 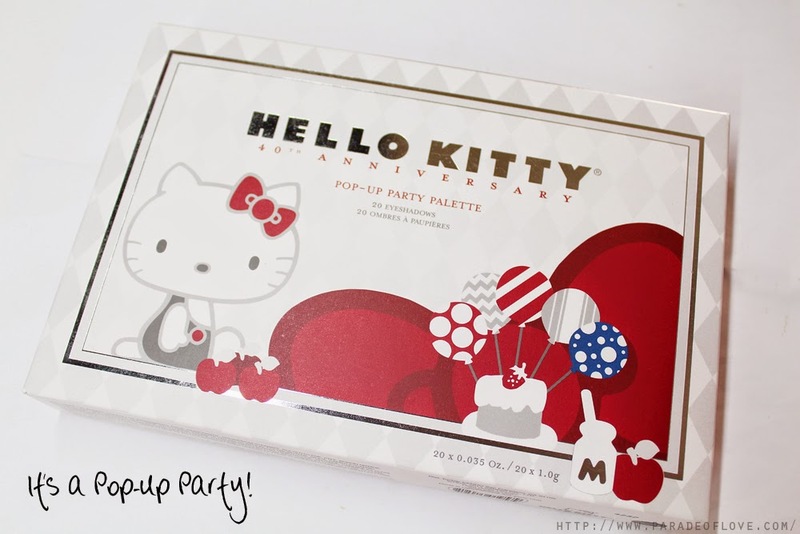 The Hello Kitty 40th Anniversary Pop-Up Party Eyeshadow Palette contains 20 eyeshadows in an array of shades and textures ranging from mattes, shimmers, satins, metallics. 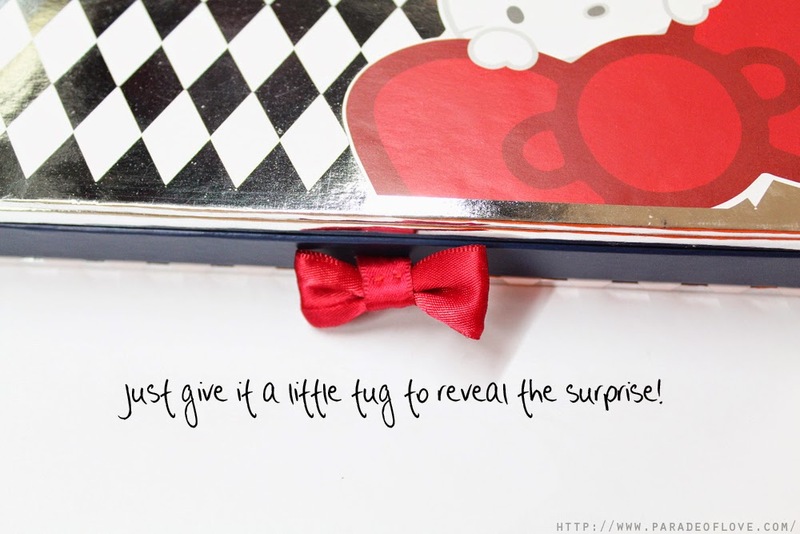 Often, such palettes are seen as marketing gimmicks, given the over-emphasis on packaging rather than focusing on the more important aspects – pigmentation and formula of the eyeshadows. In my opinion, this palette is beautiful without a doubt, but I realised the quality of the eyeshadows aren’t consistent. Some mattes are crumbly, whereas there are some satin shades that feel smooth to the touch – all of these were what I had prepared for before I even bought the palette. If you buy enough palettes and know enough about makeup, I am pretty sure you will be expecting such gimmicky holiday palettes to turn out rather crappy as compared to proper palettes designed and manufactured for a reason. Even though the quality isn’t as good, I have to say though, that some shades really surprised me, like Three Apples, Anniversary, Kawaii, Kitty-chan, The Original, and Celebrate (which I thought was a matte but turned out a gorgeous satin burgundy upon swatch). Overlooking the price, the eyeshadows are pretty alright, much better than I expected them to be. Given the hefty price tag of S$80 (or US$52), much can be done to improve the formula of these eyeshadows to better make it a higher quality palette. To me, the shades can be categorised in columns with the first 10 shades (counting by columns) being more of funky colours, and the next 10 shades being more everyday neutrals. Anniversary – matte deep teal with turquoise-green micro-glitter that really shows up! Swatches of the 20 shades here, with my favourite column being the 5th one! Wore those 4 shades out and I got compliments on the soft pinky sweet look I created! They lasted me pretty well with an eyeshadow primer (Urban Decay Primer Potion), for about 8 hours or so. I hope I helped with this review and do let me know if you love/hate it! I do have a love-hate relationship with this palette because it’s rather bulky and not user-friendly with the packaging, but I do love the shades because I can do an infinite number of looks with this! So many colours yet not enough time! 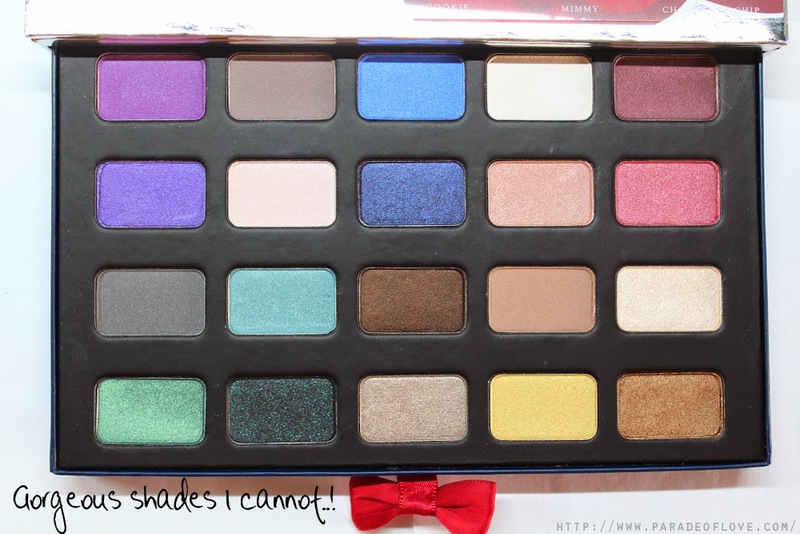 I am seriously lacking time to play with all the palettes I got, pardon the slow reviews!